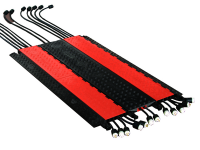 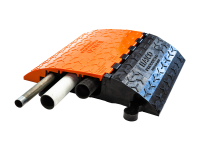 The Fabricated Aluminum Hose and Cable Cross-over Bridge protects hoses and cables from fork truck and other forms of traffic. 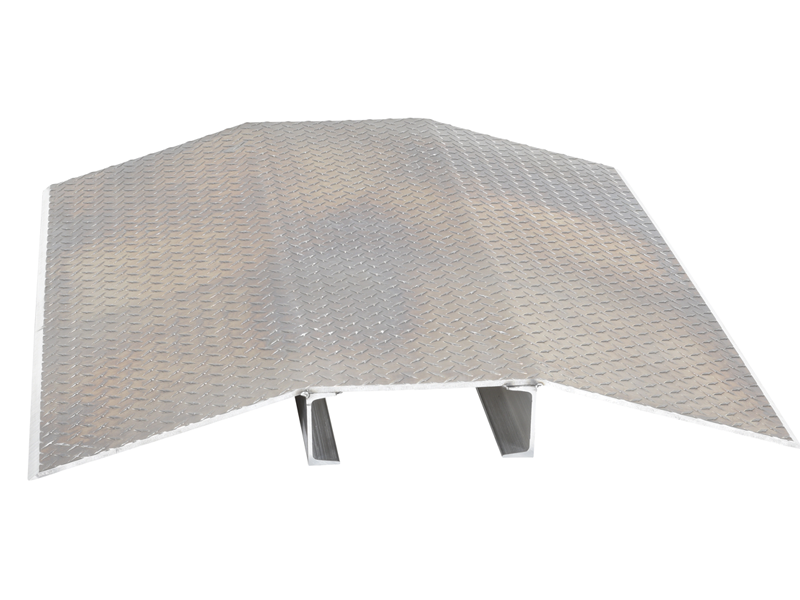 Constructed of light weight but highly durable aluminum tread plate. 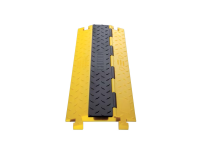 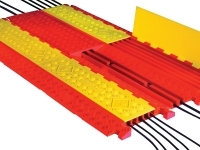 The opening width is available in spans of 4" to 16". 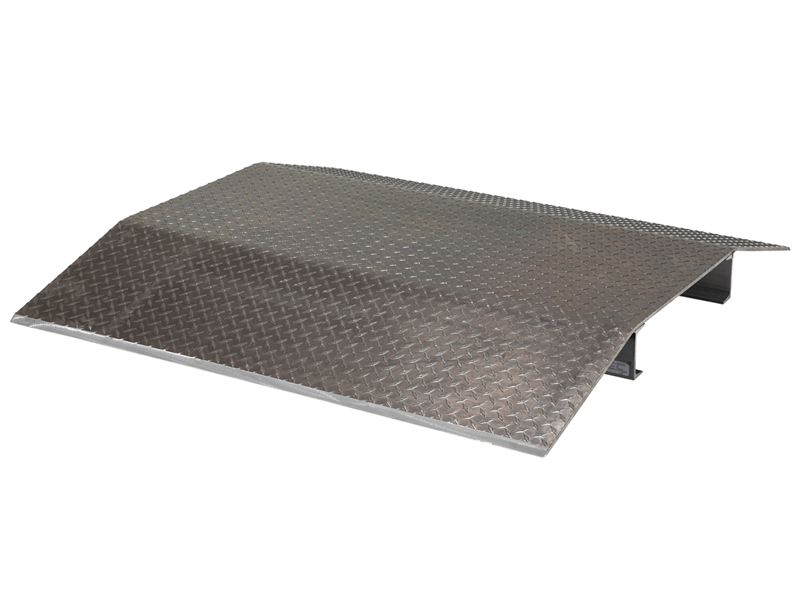 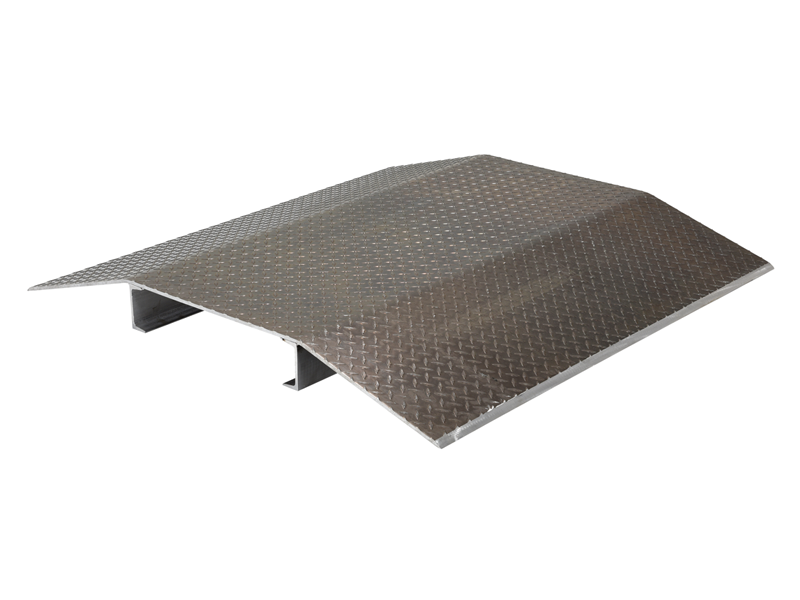 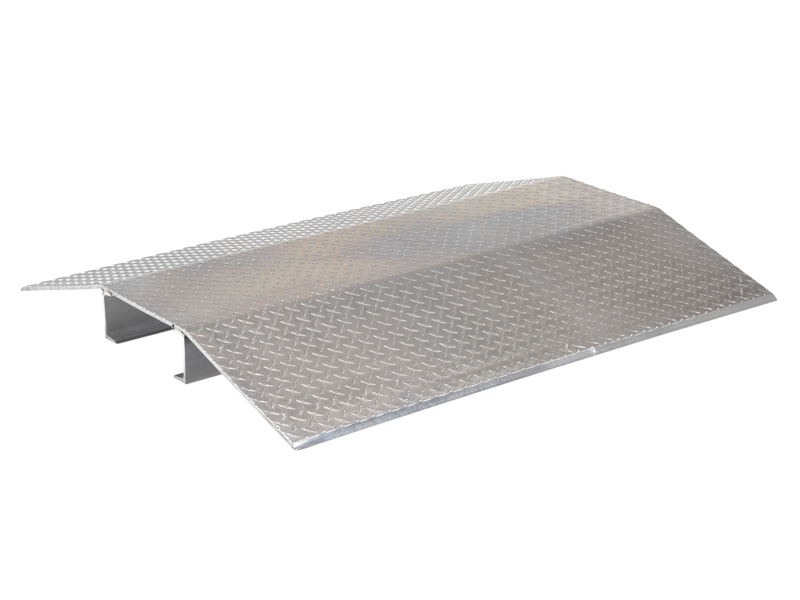 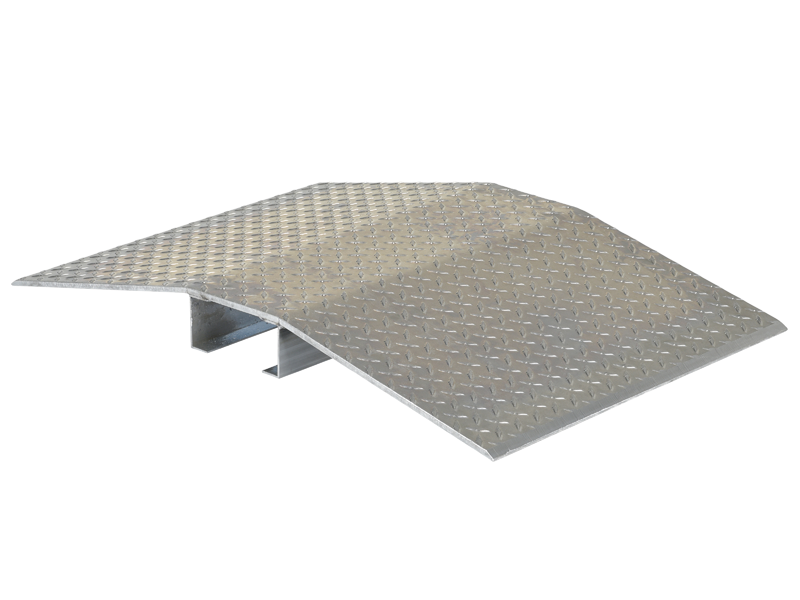 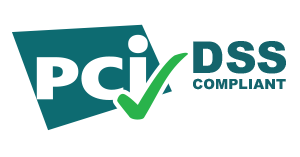 Made with 3/8” thick steel plate these ramps are available in 24" and 48" widths with a maximum weight capacity of 2,000 lbs.